Today the skeleton felt strong. 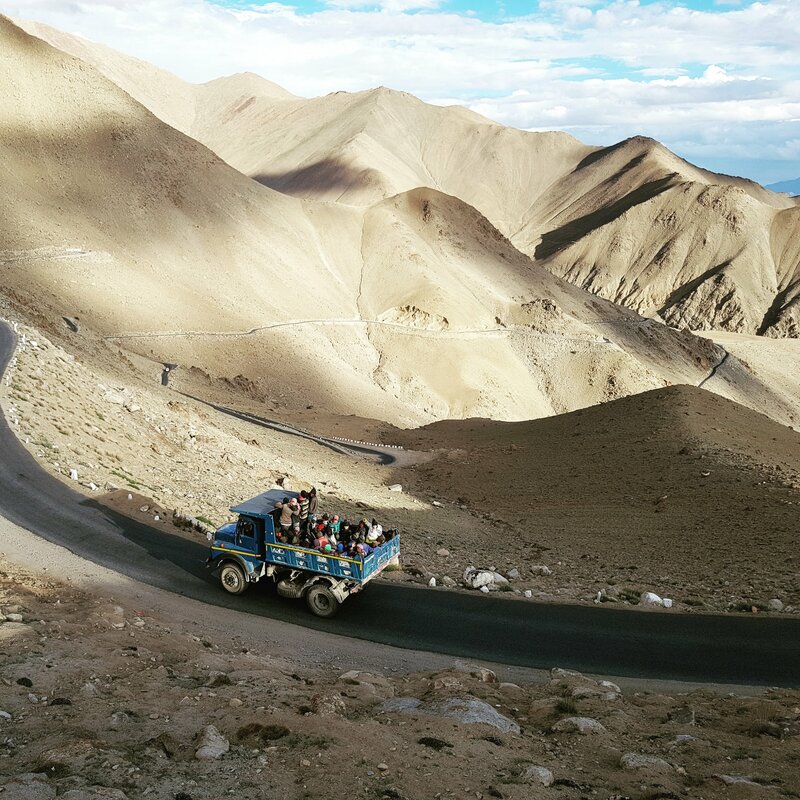 With only minimal luggage, the slopes were a breeze and the kilometres to the highest motorable pass in the world zipped by. 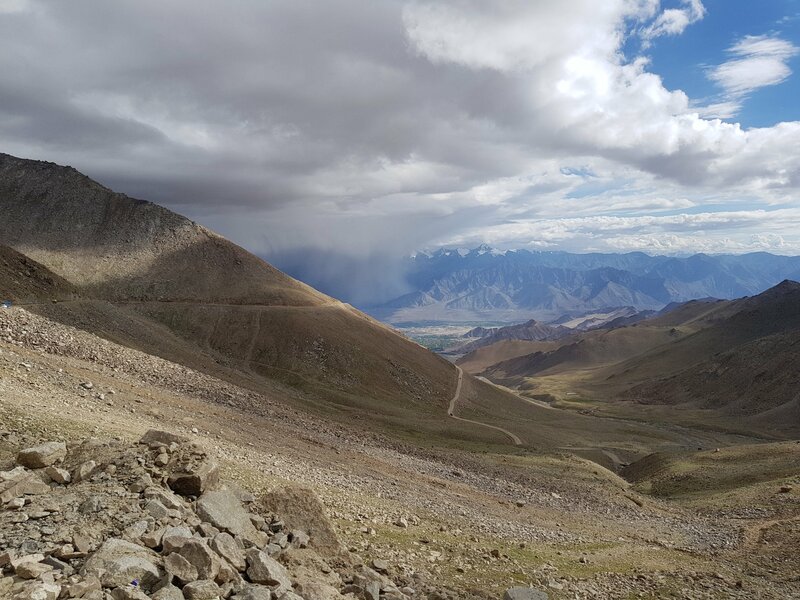 Only on the way down did I realise just how high we had climbed – over 2000m into the beautiful Ladakhi heavens. Jessica and I left at 7, mentally prepared for 40km of climbing. China was invading, it seemed. 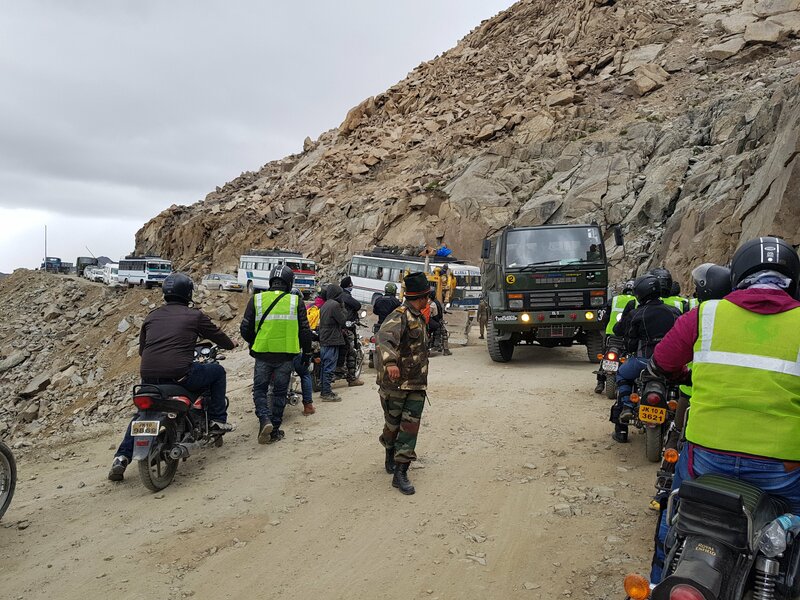 Whole squadrons of army trucks were climbing the pass. Squadrons of tourist taxis were also plying the roads, and the standard Indian men on motorbikes. And then there was the skeleton and Jessica. This day was the finale of the trip. This day was the biggest climb to the highest place. 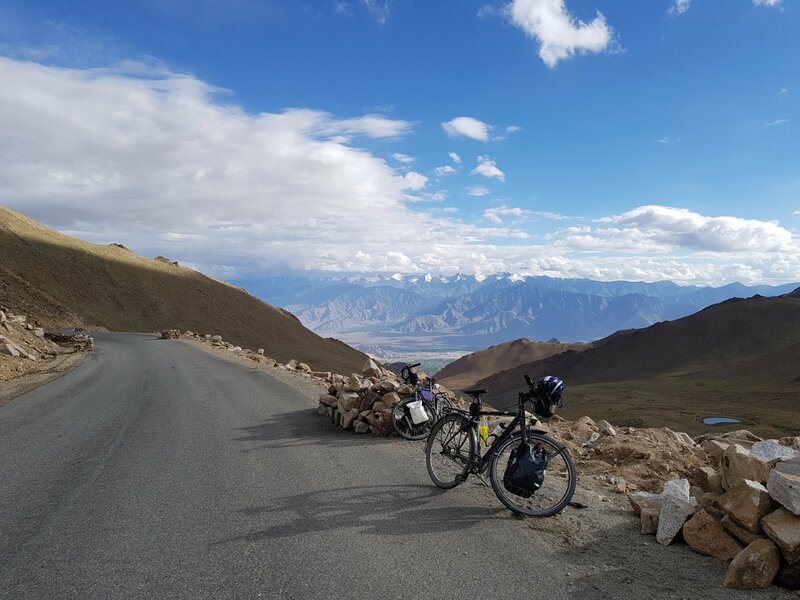 We had both cycled so much in the highest mountains in the world. Now was the icing on the cake. My energy music – Infected Mushroom – pushed me up. In fact, it gave me too much energy, I went too fast, laughed with joy too much, and had to stop to recover my breath. I realised I could do this, but I didn’t have a lot of buffer. 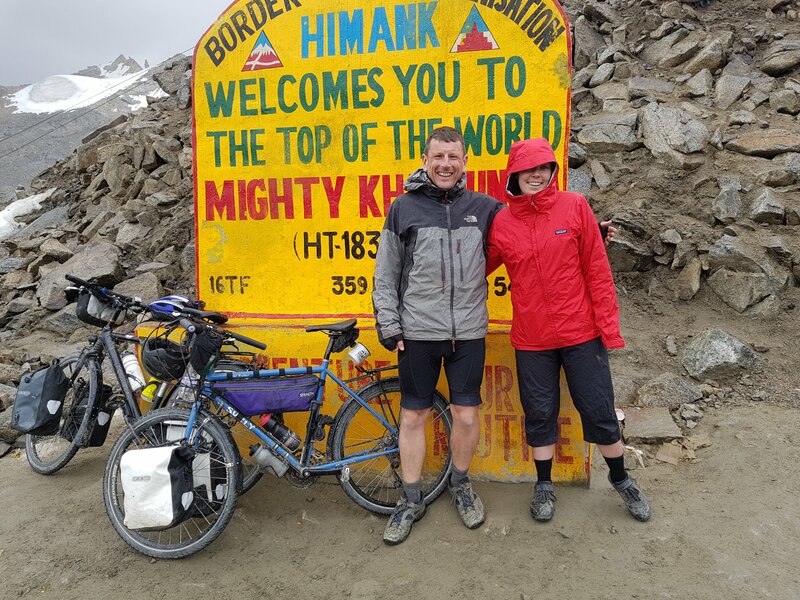 My body had made enough haemoglobin, but I wasn’t fit for Mt Everest – yet. The top of the pass was one big traffic jam. A squadron of army trucks was returning, and there wasn’t enough room for everyone. I (and hundreds of others) stood in the exhaust as the jam was resolved. 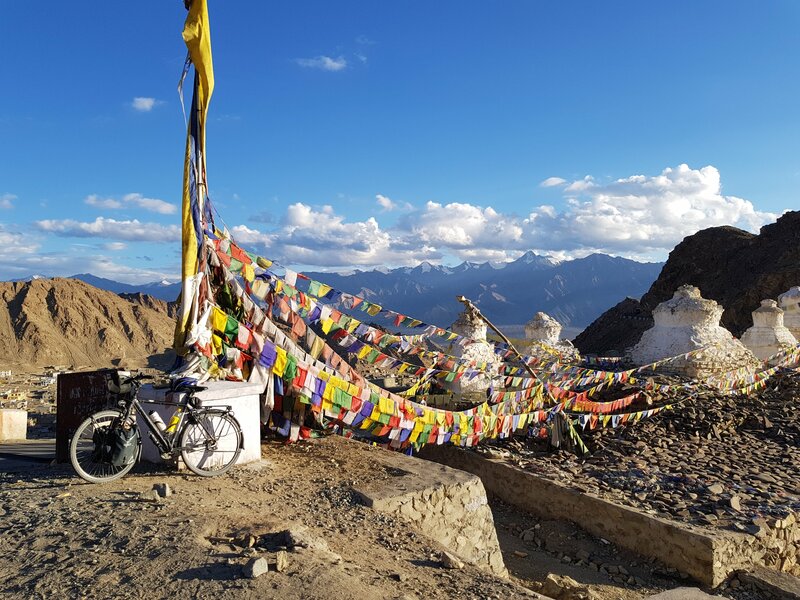 I arrived at the top, cheered Jessica on from the prayer flags and gompas above the road, and then we went into ‘one of the highest canteens in the world’ as it started to hail. 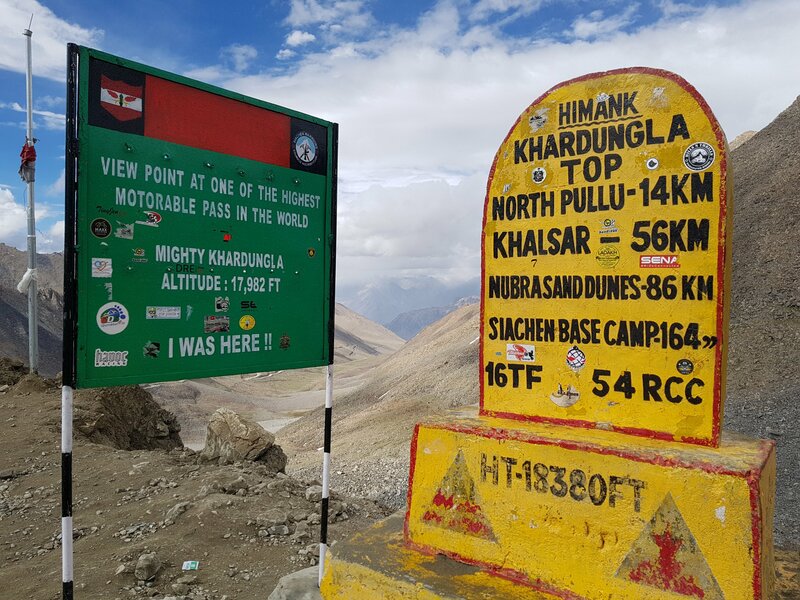 In fact, just next to the ‘one of the highest canteens in the world’ was the highest. It was about 20 feet along the road, and a whole 398 feet higher, according to the sign. There were also two miraculous neighbouring signs at these two key altitudes. 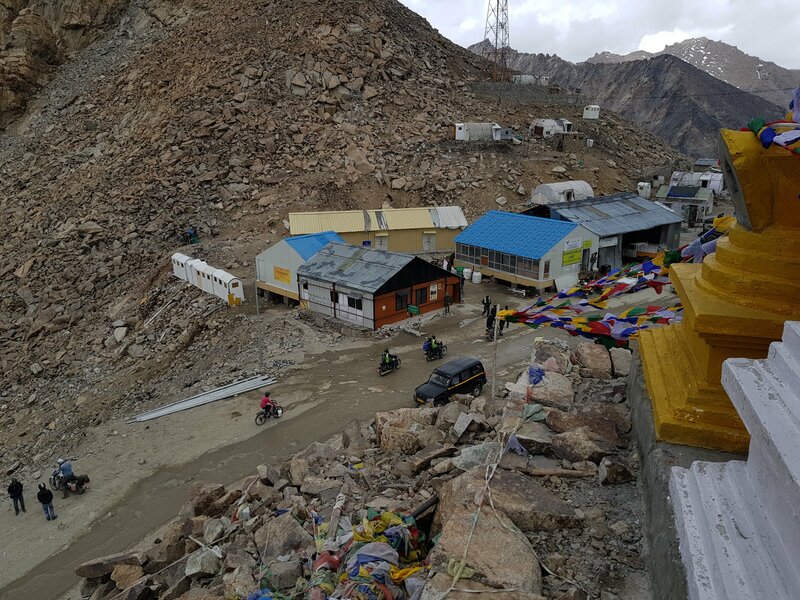 Khardung La summit. Not sure of the altitude though. The way down was nothing short of spectacular. The rain stopped, and the evening sun bathed the whole valley in a soft, yellow light. 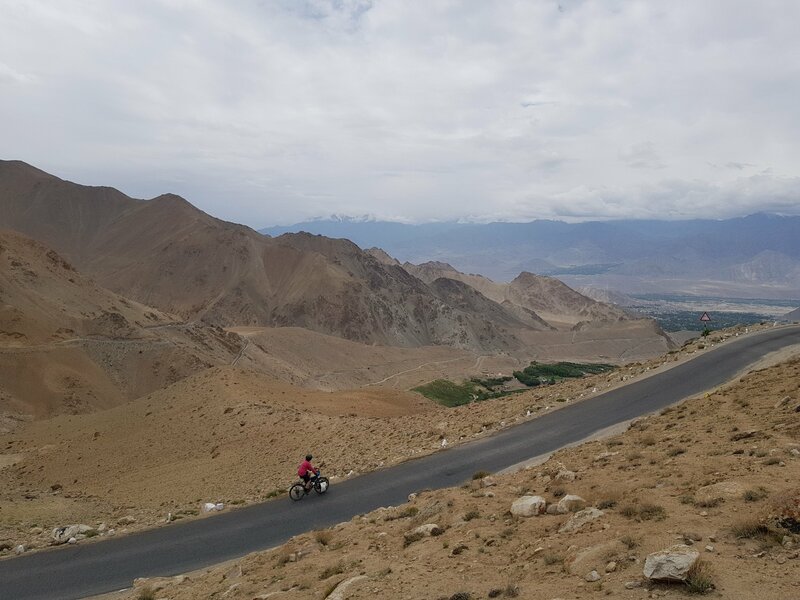 After the 10km before the pass were rattled down, it was a smooth, bitumen road, and a beautiful and incredibly long decent into Leh. 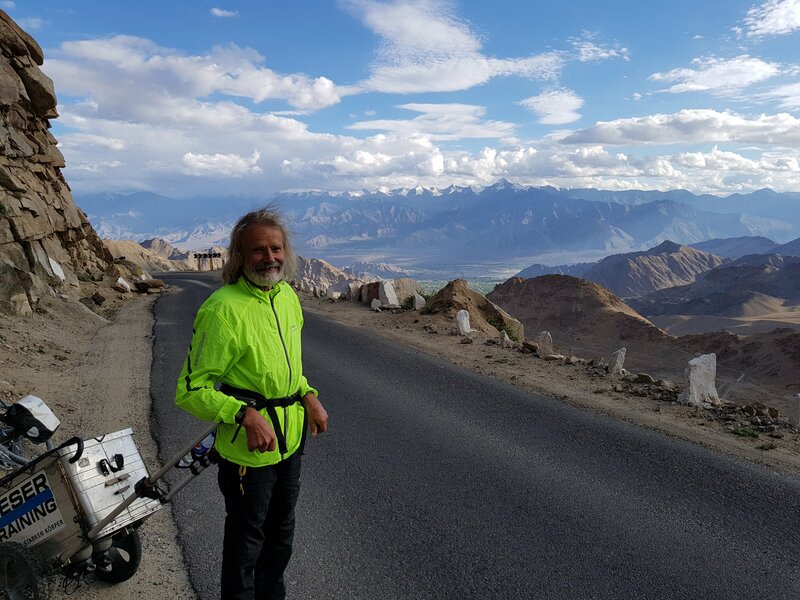 We passed a guy who had walked from Germany in one year. Pretty quick.. This guy walked from Germany. Arriving in Leh, we were starving. The skeleton ate 3 main courses.